Times have changed. Retirement is no exception. 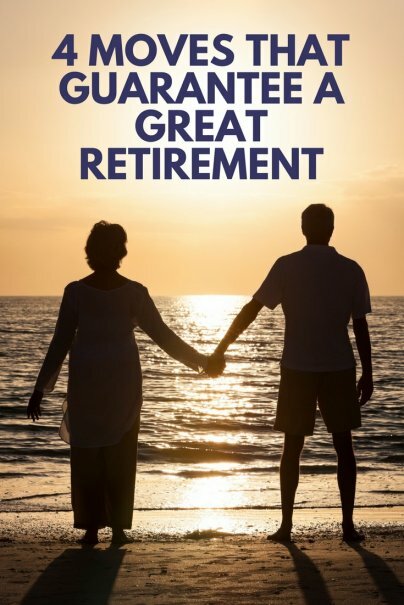 Back in 1998, 60.5% of Americans said they were very satisfied with their retirement in a study conducted by the Employee Benefit Research Institute. Fast forward 14 years later, that percentage dropped to 48.6%. Even worse, the percentage of Americans not satisfied at all with their retirement situation went up from 7.9% to 10.5%. But you can avoid that fate. Here are four ways to turn this period into the best time of your life. An old retirement adage goes, "When you retire, think and act as if you were still working; when you're still working, think and act a bit as if you were already retired." There are three good reasons why this is true. First, putting off retirement may help stave off certain maladies of aging, such as Alzheimer's disease. According to French researchers, there is a correlation between higher retirement age and lower dementia risk. While you can start receiving Social Security retirement benefits at age 62, you can wait until full retirement age to receive delayed retirement credits. Roll over a former employer's 401K plan after you turn 70 1/2 into another plan with a current employer, and you aren't required to take required minimum distributions (RMDs) starting the second year after the rollover. By continuing to work part-time, you can continue to contribute to a Roth IRA (up to $6,500 in 2016) after you reach age 70 1/2. Third, 83% of U.S. retirees cited "enjoying working" as a major reason to work for pay after retirement. Among current workers who expect to work in retirement, 79% of them cite "wanting to stay active and involved" as a major reason to work for pay in retirement. Starting age 50, you can make additional contributions on top of the regular limit to eligible plans. Catch-up contributions of up to $6,000: 401K (other than a SIMPLE 401K), 403(b), SARSEP, and governmental 457(b). Catch-up contributions of up to $3,000: SIMPLE IRA and SIMPLE 401K. Catch-up contributions of up to $1,000: Traditional or Roth IRA. Despite the best-laid plans, chances are circumstances will require you to make some changes along the way. Nearly one out of two Americans reported retiring earlier than expected. While some individuals have good reasons, such as accumulating sufficient financial resources or wanting to do something else, many had negative reasons. Of those that retire early, 61% of cited health reasons or disabilities, and 18% cited the need to care for a spouse or family member. If you have to retire early due to health problems, the Social Security Administration suggests applying for Social Security disability benefits, which are full, unreduced retirement benefits. How do you plan turn retirement into the best time of your life?